Dolomite grinding is usually the last part of dolomite mining process and so this part decides the quality of the final dolomite products. Grinding is a powdering or pulverizing process, and it can use three methods: tumbling, stirring or vibration. SBM supplies the right grinding solution to every method and application. SBM designs and manufactures a line of dolomite grinding mill to suit a range of applications and systems. Our dolomite grinding mill includes trapezium grinding mill, vertical mill, high pressure grinding mill, vertical mill, coarse powder mill and ball milling machine. Because of the final dolomite products from this segment are powder, SBM equip cyclone powder collector and pulse bag duct catcher to SBM dolomite powder making machinery. 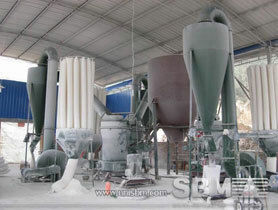 Dolomite grinding mill is the main dolomite powder making machine. It is used in dolomite powder production line for manufacturing dolomite stone into powder. SBM can design dolomite production process for the Dolomite powder making plant in Australia, USA, Mexico, Ghana, Malaysia, Pakistan, and Nigeria. "SBM supplies the right dolomite grinding machine to every method and application. "